Challenges: Arizona: where baseball is king, and the sun and heat are relentless. In fact, according to Dave Dunne, owner representative, During construction of the most beautiful ballpark in the nation, Phoenix experienced one of its most brutal summers, underscored by history-making sandstorms. And the projects quick turnaround was just as relentless. 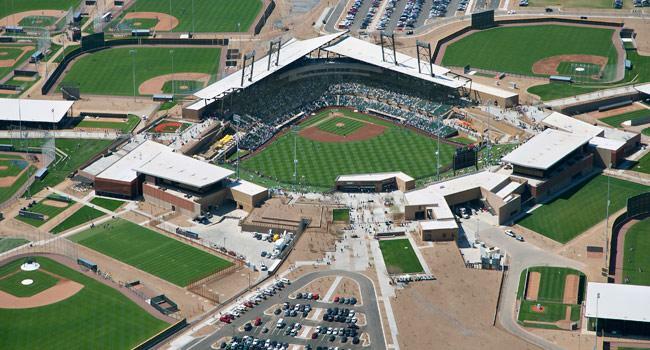 Solution: The signature feature and reason so many fans said they will be returning to the Salt River Fields Stadium next season is its uniquely designed roof. It features two overlapping decks behind home plate that are positioned so that 85% of all fans in the grandstand are shaded during the course of the afternoon. A light gray JM PVC membrane was specified to reduce potential glare on passers-by from a too bright surface. HKSs architects worked closely with Johns Manvilles Technical Services team in Denver to develop the parapet flashing system, resulting in a custom color around the stadium clubhouse. Light stands and towers were particularly challenging, and, again, JMs Denver group teamed with the designers for a solution that would keep the roof structure watertight and be in compliance with detail drawings. The project was awarded the U. S. Green Building Councils LEED Gold designation the first LEED-certified Spring Training facility. In 2008, Starkweather Roofing, Inc. removed the entire existing roof system of the Nationwide Scottsdale Insurance Company building and installed a self-adhered, insulated, dual-modified Polyglass PolyKool roofing system. 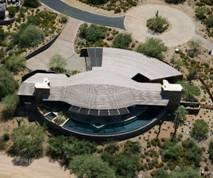 Read our Cool Roof Study and Cool Roofing Article about this project. In 2008, Starkweather Roofing, Inc. installed 124,600 square feet of white KM elastomeric roof coating on all buildings of the Stratford Court retail center. In 2007, Starkweather Roofing, Inc. installed 15,800 square feet of Garland modified bitumen built-up roof system with elastomeric coating on both the Ishikawa and the Mendoza Elementary School buildings. In 2007, Starkweather Roofing, Inc. installed 156,000 square feet of all new tile and a SunFlex white elastomeric roof coating system on all buildings of the Montana del Sol condominium community. Starkweather Roofing installed 4,000 square feet of built up roof, 2,800 square feet of metal roof, 2,500 square feet of shingle roof, 3,300 square feet of slate roof, and 2,500 square feet of thatch roof. Starkweather Roofing installed a 9,300 square foot Bermuda roof system on this private residence. Watch this short video to see how a bermuda roof is installed. Starkweather Roofing installed 19,000 square feet of modified bitumen roof with Geogard urethane coating.